An RV campsite at Table Rock State Park. Bungart says they plan to expand WiFi services to more campgrounds over the summer. 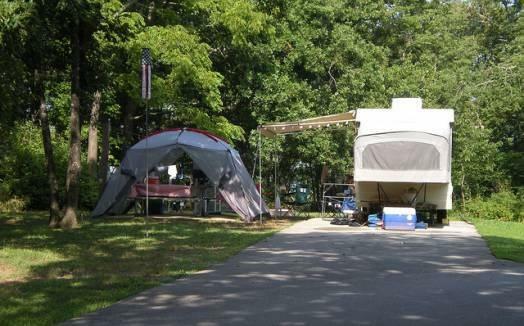 There are 40 state parks in Missouri that have campgrounds. Bungart says, though, three of the 40 are considered too small or remote and will not get the service. WiFi service is being offered free of charge.